“It depends.” This is how I would respond to someone asking if The Pit of Doom, the new-ish rougelike/FPS hybrid from developer Kerberos productions, is worth the $10 price of entry. There are interesting aspects to it that may keep fans of the genre interested for a plethora of hours. Outsiders, however, may want to hold off on this game for now. The Pit of Doom is an FPS re-imagining of the developer’s 2013 indie rogue-like Sword of the Stars: The Pit. 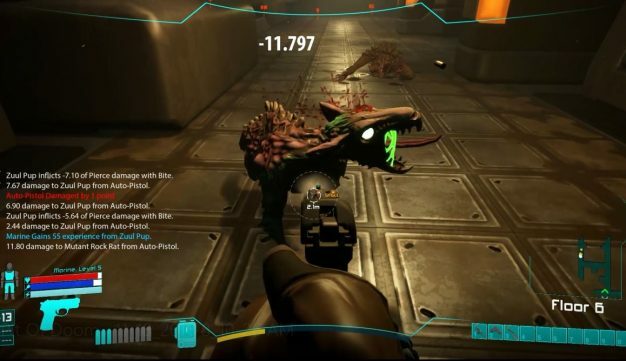 Garnering a “very positive” review score on Steam with almost 1000 reviews, the 2013 game has the player descending into a seemingly endless chasm of hostile levels. 2018’s The Pit of Doom attempts to bring that game to the world of the FPS. Just because the perspective has changed does not mean the game is making drastic moves towards an arcade-y feel; this is very much an RPG. Outsiders looking in may be baffled at how your weapon can still miss its mark even though you are a dead-eye with a mouse and keyboard. 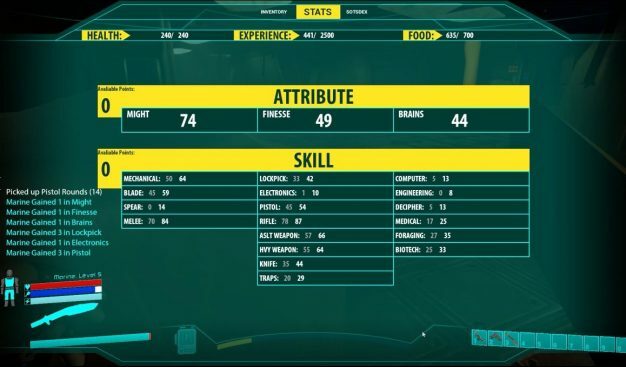 Your character’s various stats affect his or her performance in the game in different ways. Just because your pistol is lined up to hit its target does not mean you will be successful. The shot may (and often does) result in a miss if you are too far away or your character’s accuracy is not good enough. This may turn some people off from the game, but to me it is not much different than a character’s ability to unlock a door. Just because I can hold my mouse still does not mean that my character will be able to hold their weapon as steady. Players familiar with the RPG genre will see some familiar traits. 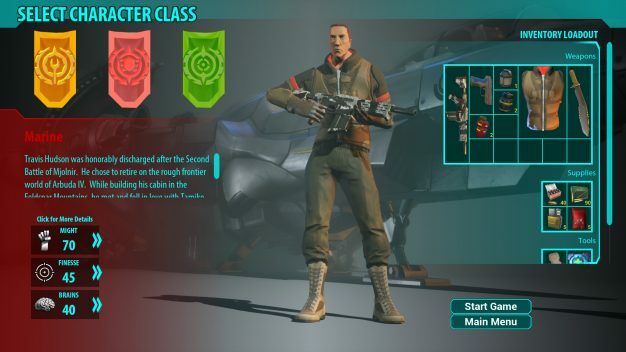 You character can be enhanced by leveling up their various skills such as using lock-picks, pistols, medical items, and more. This allows you to customize your character to the specific play-style you want to employ at the time. I particularity found the lock-picking skill useful as you will often be unlocking doors in order to rummage through a room in search of food, munitions, and other essentials. The game requires you to be slow and deliberate. Enemies hit hard and med-packs are not easy to come by. Moldy food can poison you, but you have to eat. The game does a good job balancing the need to manage the character’s health and hunger while not feeling overbearing. This game is much about its mechanics. What I mean by this is you may spend as much time managing the character, rummaging through piles of guts in search of useful items, or curing yourself of multiple poison levels, as you will spend shooting at baddies. Being an early access game means quite a few things. It means a game is unfinished; this applies both to the occurrence of bugs as well as the quality of the game mechanics. Unsurprisingly the same can be said for The Pit of Doom. The textures and environment are reminiscent of Doom 3‘s dark and broody world. This one, however, is experienced in a much slower-paced fashion. Unfortunately the graphics are muddy, repetitive, and overall uninteresting after seeing the same looking hallway or room dozens of times. I have been informed by players who reached lower levels that the biomes do differ the further you go down. To my understanding you will still have to run through the same ones on each new attempt. Players who become familiar with the mechanics and hone their skills may be able to breeze through these quickly. 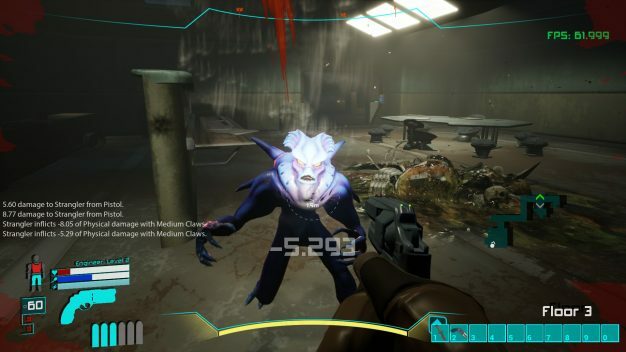 In terms of bugs, occasionally the game would freeze on launch and required a force-kill and restart. The game does get the atmosphere and the sense of helplessness right. Soft eerie sounds and the scurry of feet down a hall bring about a sense of fear. 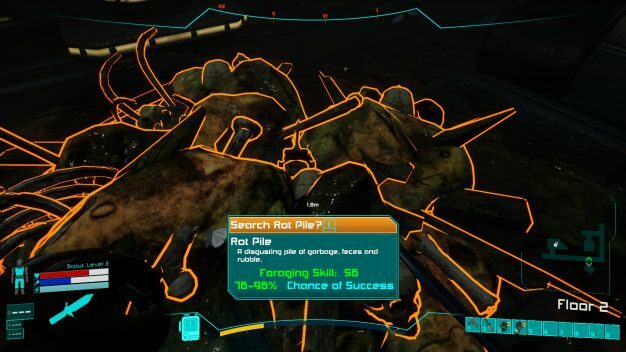 These traits are not typically seen in an FPS. The weighty weapons feel good to use as you aim and take down a target. Enemies are varied, though they are not very interesting to fight against. They employ different attacks but most of them entail them coming directly for you and attacking when close enough. This repetitive AI can be a little uninteresting. Thankfully the inclusion of flying and ranged enemies helps change things up a bit. Currently the game can be purchased from Steam for $9.99 which I believe to be a fair price of a game like this in early access. Everything can (and I’m sure much will) change. I would be surprised if the current textures are not replaced with higher fidelity ones in the future, and if the environments aren’t updated to be more varied. There is plenty of time to update the AI of enemies to make them more enjoyable to battle. If you enjoyed 2013’s The Pit then this game may be an easy choice for you to pick up. It attempts to bring that world to a 3D FPS setting. Players who have not experienced that game may want to hold out for changes that are sure to come in order to play a more polished game. Kent is a professional programmer, game development hobbyist, dad, gamer, husband, guy who doesn't mind Jazz, second fastest kid on his middle school track team, etc. etc.